From Dublin Airport to the busy streets of the City Center, once you’ve arrived, gotten acquainted with your driver/guide for the week and relaxed into your new surroundings, you’ll most likely want to take a brief stroll around to take in the friendly atmosphere and culture that Dublin CIty is so famed for. From the cobbled streets of Temple Bar to the elegance of Georgian Dublin, you’ll find historical gems around every corner, but you’ll also meet the people of Ireland for the first time. From bustling crowds making their way around the capital to friendly faces going about their day-to-day you’ll find something special in the upbeat charm of this proud nation. Ireland’s capital city has over 1000 years of history and originated as a Viking township on the banks of the River Liffey. The place is literally chock full of sites and attractions with historical importance taking you from the Viking and Norman times right up to the modern day. The Book of Kells is always a great place to start. This a lavishly decorated 8th century manuscript now resides in Trinity College Dublin. The college itself boasts much significance in its own right as Ireland’s first university (established in 1592) and is worth a visit for its exceptional architecture alone. Speaking of architecture, moving to Georgian Dublin you can admire the fantastic workings ofChrist Church and St. Patrick’s Cathedral; and plethora of other significant historical landmarks. You'll find the authentic Viking experience just beside Christchurch with a visit to the Dublinia exhibition is essential. Situated in the heart of Dublin city at a crossroad where old Dublin and contemporary Dublin collide, you’ll find fascinating exhibitions covering Viking Dublin and Medieval Dublin, all brought to life by magnificent artifacts. Taking to Georgian Dublin by foot, you can visit the National Museum of Archaeology or the beautiful greenery of The Phoenix Park (home to Arás an Uachtaráin – where the President of Ireland resides). Walking tours along the cobbled walkways in Temple bar will bring you back to its medieval routes and a visit to Kilmainham Jail will see you exploring its unique links with the Easter Rising of 1916. Breaking up the day with a little refreshment, drop by the Guinness Storehouse for a sip of the “black stuff” or treat yourself to a sample of hot whiskey at the Jameson distillery. During both of these fascinating tours, you’ll discover the intriguing histories behind these two famous brands. If you’d prefer to unwind with a spot of retail therapy, then you can’t go wrong with Powerscourt Center, just off Grafton St. where you’ll find a fantastic variety of shops, restaurants and cafes. As an added bonus, the centre itself is an elegant Georgian Townhouse, with tours available so you can explore the wonderful interiors of its grandiose ballroom and gallery to name but a couple. If you’re on lookout for some entertainment that evening Dublin will not disappoint. The rich culture that Ireland is know for is at its strongest in the capital and you’ll be spoiled for choice with numerous theaters, traditional Irish music nights and even storytelling sessions - like the Brazen Head’s Food, Fairies and Folklore night - to keep you on your toes. As the night stretches on and your first day in Ireland comes to an end, you can rest easy knowing that you’ve already traversed several centuries and discovered some of Ireland’s riches. As you leave Dublin and make your way towards Newgrange with your knowledgeable guide at the wheel you will be greeted by one of Ireland’s most enviable features – its stunning rural scenery. Rolling green fields and tiny villages brimming with character make any car trip fly by. Try not to get too engrossed in the scenery though, because what awaits you at the end of this short trip is truly phenomenal and well worth spending time exploring. The megalithic passage grave at Newgrange features elaborate stone carvings and the tomb itself predates the Roman civilisation, England’s Stonehenge and even the pyramids of Egypt. In the heart of Meath (the aptly nicknamed “Royal County”) this is where the High Kings of Ireland once congregated. Visitors can gain access to Newgrange by guided tours, which are available at the Brú na Bóinne visitor Center. Something quite spectacular happens at Newgrange on the winter solstice every year. There is an opening above the entrance to the passage of Newgrange, called a “roof-box” and from December 19th – 23rd each year, with the rising of the sun a beam of light penetrates this “roof-box”. As the sun rises higher the beam widens within the chamber until the whole room becomes dramatically illuminated. This jaw-dropping display last a total of 17 minutes and beings around 9am on these specific dates. This ancient site and archaeological wonder is surrounded by a truly magic air and is a must see for annoying travelling through the Irish midlands. Your photo album will fill up as you take some snaps in this stunning location. The Brú na Bóinne visitor center has been constructed ingeniously to blend in with its surroundings so that the natural scenery is left unspoiled. The center is open all year round and treats visitors to a variety of audio/visual presentations, exhibitions and replicas including a full scale model of the chamber at Newgrange. There’s also a great café here if you feel like putting up your feet taking five. With the mysteries of Newgrange still bounding around in your mind, it’s time to hit the road again. The journey to Kilkenny will take roughly two hours but once again you’ll be treated to beautiful scenery along the route. Before venturing into the fantastic city of Kilkenny you can visit Kilfane Glen and Waterfall - the perfect place to relax before exploring all that the “Medieval Capital” has to offer. Let the serenity of this 18th Century romantic era garden wash away your troubles. Or if you’re looking for a more natural attraction Dunmore Caves are again a short trip away, complete with a visitor center to compliment the quiet beauty of the caves themselves. Visitors to Jerpoint Park can experience estate country pursuits in a unique heritage setting from pony and trap rides, sheep dog demonstrations, fishing for salmon and trout on the River Nore, horse riding across open countryside with breath taking views, before soaking up the regal atmosphere of Belmore House Tea Rooms and sampling the delicious homemade delights. There are also a number of walking tours and trails for you to choose from in Kilkenny from the Tynan Walking tour (an adventure of all things medieval in Kilkenny) to the Castlemorris Wood Walk (just one of a whole range of scenic walks available to visitors of the area). Once you arrive in Kilkenny City, it’s off to enjoy one ofthe main attractions: Kilkenny Castle. The structure is almost 18 centuries old and stands dramatically over a crossing on the River Nore and the “High Town” of Kilkenny City. A tour of the castle is a must for any visitors to Kilkenny. This complex structure features many varying styles of architecture and just as varied a history too. Starting at its gateway, the Castle Tour will take you from room to room providing you with insights into the architecture, furnishings, and paintings which make this castle so special. The Smithwick’s Brewery tour offers another taste of the rich heritage in Kilkenny. This brand of ale originated with John Smithwick in 1641. John, who was left orphaned after the Irish rebellion, carved out his story with determination, courage and loyalty. The success of Smithwick’s local family brewery, which began producing ale in 1710, gave John a sense of what is important in life. His experience and trade secrets have been passed down over 300 years, 9 generations of Smithwick men, and you have the chance to take a tour of their working brewery in Kilkenny. The tour also includes a visit to the remarkable 12th Century St. Francis Abbey, which is on the site of the brewery. Enjoy one last hurrah in Kilkenny with the Traditional Irish Music Trail. Hosted by two musicians, you’ll be brought along a session tour of some of Kilkenny’s legendary pubs. Over the course of two hours you’ll experience the warmth of the local music scene, learn about the history of traditional instruments, share in the chat and of course get treated to a few of your favourite songs. With the silhouette of Kilkenny Caste growing ever smaller in the rear view mirror, it’s time to get back on the road and head towards Cork where you’ll be staying for the night. Today you will begin your journey around Cork. Cork is Ireland’s largest county and its locals (or Corconians) have some of the biggest personalities in Ireland. You’ll feel instantly welcome in the south-west of Ireland as the people of Cork win you over with their charm and wit. Aside from the local hospitality, you’ll also find some of the most breath-taking and rugged scenery in the whole of Ireland. The City of Cork itself is rich with history. Much like Venice, the city is constructed upon water with some of the main streets being built over channels. Despite the fact that the city center is built on an island in the River Lee, the whole city is completely accessible by foot. The city dates back to the 7th Century and was founded by St. Finbarr. Many examples of centuries old architecture still exist including the 300 year old tower of St. Anne’s Church (home to the Shandon Bells) or St. Finbarr’s Cathedral (a monument to its namesake featuring stunning French Gothic spires). For a snippet from the city’s more recent history, you need look no further than the English Market, whose stalls have been packed with foods from the world over, since Victorian times. One of Cork’s most memorable tourist attractions is Cork City Gaol. Steeped in history, this building is a castle like structure and once acted as a prison back in the 19th century. Today this unique heritage centre see visitors stepping back in time to discover what life was like in Cork from both sides of the prison walls. You’re coming up to the midpoint of your ancient tour of Ireland and what better way to mark the occasion than with a kiss. Whilst kissing a stone may not sound like the most romantic thing you’ve ever done, this is the Blarney Stone – the endower of the gift of eloquence, so it may be more special that you’d anticipated. For years this stone has been attracting visitors from around the world, hoping to sneak a smooch and test the legend that those who kiss the stone will acquire the “gift of the gab”. And whilst they may have come for the stone, many leave with fond memories of the castle and its surrounding grounds. Within this ancient site, built over 600 years ago by one of Ireland’s greatest chieftains: Cormac Mac Carthy, you’ll find plenty to explore with the Battlements View, the Wishing Steps, the Witches Stone, Rock Close and Badgers Cave. These are just a handful of the other attractions for you to explore at Blarney that will give you plenty to talk about with your new found gift of eloquence. Just under 45 minutes from Blarney is the charming medieval fishing village of Kinsale. If you’re looking to sample some gourmet seafood then Kinsale has some of the best seafood restaurants in Ireland. If you’re not in search of something fishy, the narrow streets of this quaint village are also lined with shops, galleries and plenty more to keep you entertained before you move on from Cork. Moving on from Cork, you’ll be heading to Kerry for the night, where another night of sound sleeping will have you refreshed and ready to tackle the Ring of Kerry the next day. 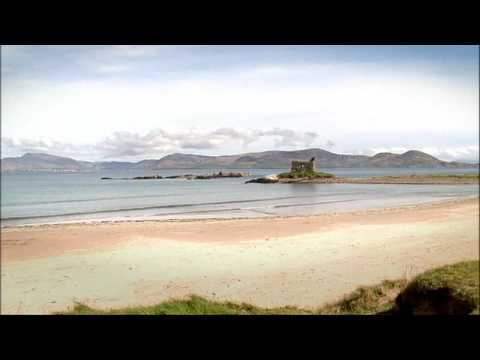 Spurred on by the prospect of more ancient wonders to unravel, the Kingdom of Kerry is your next destination and here is where you will discover The Ring of Kerry (or the Iveragh Peninsula as it is also known). This area is famed for its stunning views and the sheer amount of attractions that you’ll find located all within this single scenic drive. You’ll want to fit in as much as possible so it’s always best to dedicate a full day to exploring the ring. The sheer scale and wonder of the Ring of Kerry make this one of the most magical and intimate places in Ireland. The more you explore the more you will come to understand why this wondrous place inspires so many as the echoes of words spoken long ago resonate within the hidden crevasses of the Iveragh Peninsula. Head to Moll’s Gap and gaze upon the majestic MacGillycuddy’s Reeks (Ireland’s talent mountain range). Look out from your perch at Ladies View as an infinite horizon stretches into the distance. Or make a visit to Rossbeigh’s golden sands, a beach with immersive surrounding panoramic views. Hidden away within the Gap of Dunloe you’ll find a quaint little cottage, the very premises that was once owned by Kate Kearney – a legendary Irish beauty. Many will attest that the only true way to fully experience the gap is to traverse it with a pony and trap; and Kate Kearney’s Cottage honors this sentiment with tours embarking from the homestead. Later on in the day if you find yourself hankering for some tradition Irish food and music, you can’t go wrong with Kate’s. This fantastic venue does its very best to keep her spirit alive with dancers and musicians that compliment their superb traditional grub. You can’t visit the Ring of Kerry without a side-trip to Killarney. This buzzing area is another fine example of a rural Irish town land with cheerful locals going about their day to day. From here you’ll be a short trip from Killarney National Park, where you’ll find even more expansive scenery and beautiful landscapes. Whether you’re walking or decide to hire a bike or horse and trap this beauty of this lush demesne is truly epic. It’s also a great place to have a picnic if you need to get your energy up. From Killarney National Park you’ll be able to enjoy the scenic delights that are the Lakes of Killarney. From the shores of these three lakes : Lough Leane, Muckross Lake and the Upper Lake you can enjoy views of Muckross House, Muckross Abbey and the 15th Century Ross Castle. Muckross House and Gardens is definitely worth a peek during your visit to the park. This restored Victorian house dates back to 1843 and is comprised a massive 65 rooms. A walk around the estate’s gardens will reveal a sunken garden, stream garden, Arboretum and much more. Summer visitors are in for a colorful treat as blossoming red and pink Rhododendrons accentuate the sophisticated charm of the gardens. After a long day delving into the many treasures of the Ring of Kerry, drop by the nearby town of Kenmare (“The Jewel on the Ring of Kerry”). Strolling along the pathways of this heritage town you’ll find colorful craft shops and over 30 restaurants lining the streets tempting you with their very own local produce. It’s a beautiful little spot and the perfect place to wind down that evening before tucking snuggling up at your accommodation. Over the next 24 hours you will be treated to some of the grandest natural treats in the West of Ireland. Bags packed and leaving Kerry behind you it’s time to explore Clare and the Burren region. This truly unique area of limestone rock covers mountains, valleys and stream, each as awe-inspiring as the last. There is a beautiful contrast between the natural flora and fauna and the ancient man made megalithic tombs, which predate the Roman and even Egyptian civilizations. Before you trek out into the unknown, you can visit the Burren Visitors Center in nearby Kilfenora, where you’ll get an introduction to the many secrets of the Burren. While you’re in the area, why not pop into Doolin Cave. Less than ten minutes drive up the coast from the Cliffs of Moher you’ll find this fascinating cave, which is home to the longest stalactite in the northern hemisphere, measuring 6.54m (20 feet). Weary from your travels you may want to pop into Durty Nelly’s (just beside the castle) for a pick me up. The history and heritage surrounding Durty Nelly and her public house date back to 1620 and include: a toll bridge, an Irish wolfhound and a miracle cure. For years travelers have enjoyed the hospitality and warmth of this one of a kind pub and now with live Irish music seven days a week, you can’t help but be lured into Nelly’s cozy welcome. As the entertainment dies down for the night it’s off to bed for the last time on this Ireland adventure. You’ll be staying in Clare so the trip to Shannon Airport won’t be too long the next morning and you can take your time enjoying your last morning in Ireland. Your tour of Ireland complete, packed with all the ancient Celtic sites we have to offer you’re sure to have a broad smile across your face as you wave goodbye to the land of Saints and Scholars and your driver/guide (a constant companion), knowing that you can relive your trek through time with all the memories and photos you’ve collected along the way.